Muddies, We’re Going on a Bear Trail! It hasn’t escaped my attention that there’s ANOTHER pesky half-term holiday looming and this one won’t have an egg trail or chocolate available on tap to help us through. But it's ok, everyone, we’re going on a Bear Trail! Today, I embraced my job description 1000%. Muddy got, well, insanely muddy. 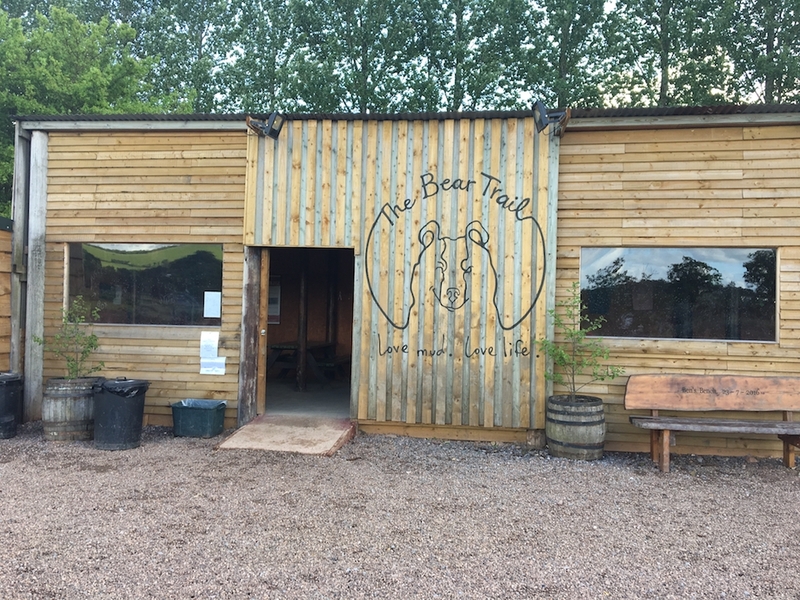 The Bear Trail, just outside Cullompton opened last year and I think this family attraction has hit jackpot with its concept. 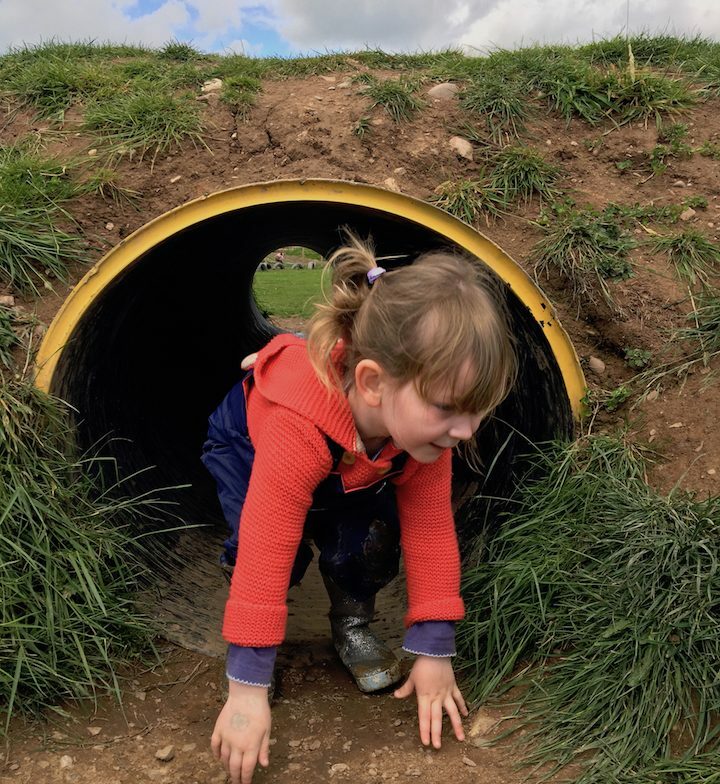 I mean, the words ‘bear’ and ‘trail’, with gallons of mud involved are bound to get any kid excited – and not a tablet or console in sight. Just hours of good old-fashioned fun and fresh air. 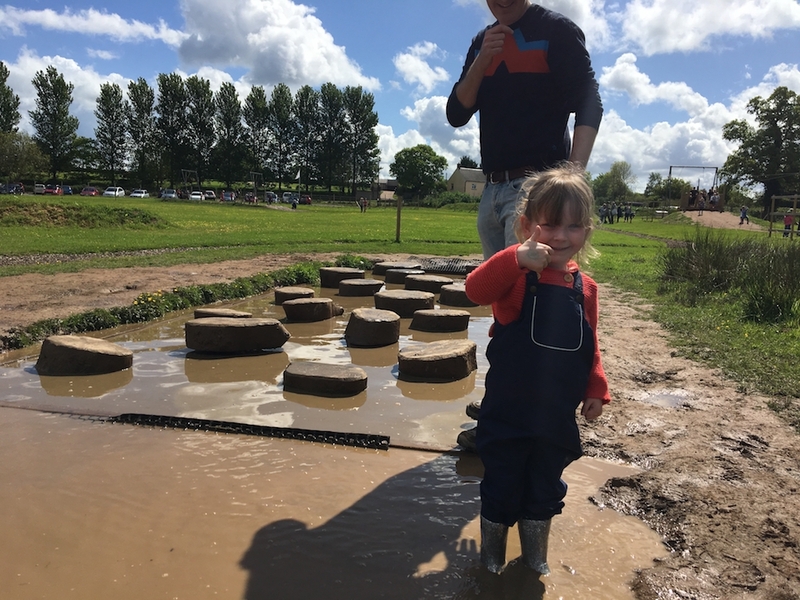 We rocked up this morning heeding the advice on the website, bringing wellies, a change of clothes each, whilst leaving our inhibitions at home. Or so I thought. When you spend half your life trying to keep the house in a state of semi-order, it’s pretty difficult to throw yourself into a muddy mess and laugh off the fact that you look as though you’ve just waded through a swamp. But that’s what we’d signed up for, so we had no choice. So what is it, exactly? Well, it’s an outdoor trail, with a series of muddy obstacles that you have to tackle as you go. They range from super-simple (even I can do it), to moderately tricky, with a few more difficult ones for the biggest kids to negotiate. But everyone can do the trail, it’s just that some parts may require toddlers to have their hands held. Or adults, in my case. 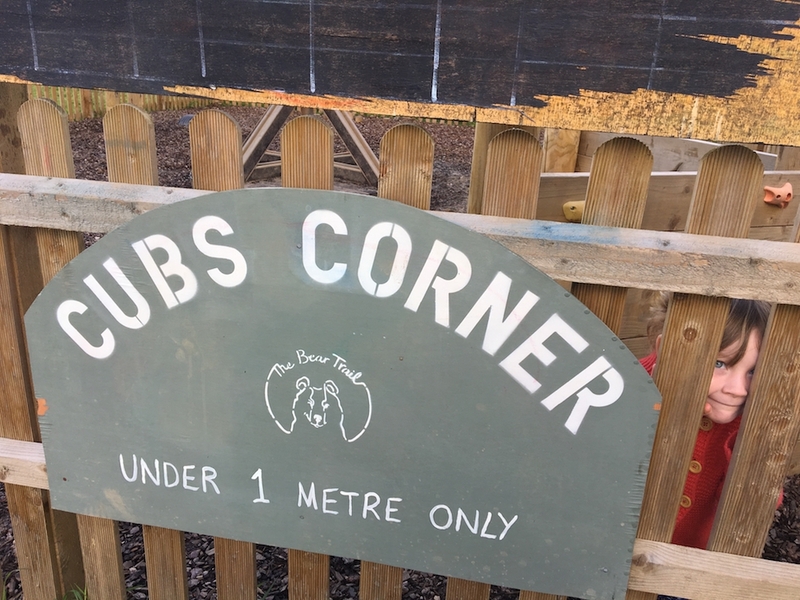 There’s a dedicated Cubs area as you enter the trail, so if you have a particularly tiny, or timid one they’ll still be able to get involved. 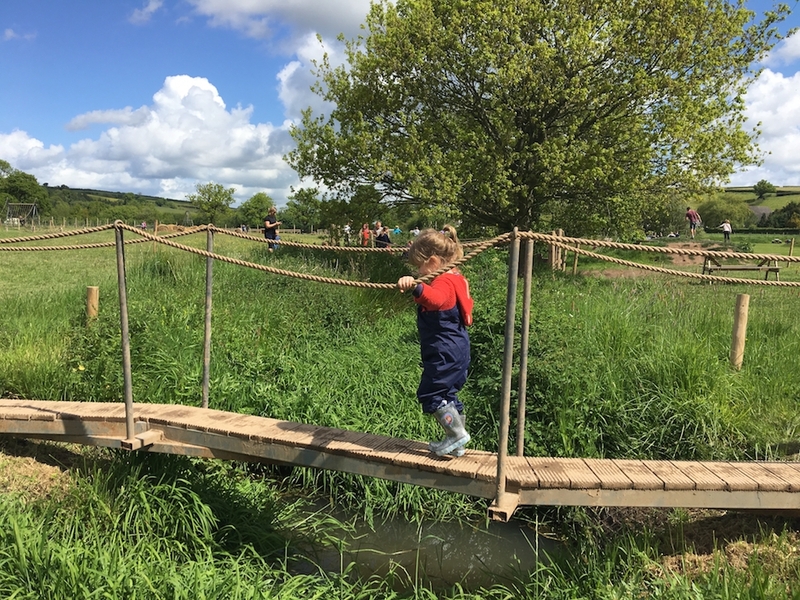 Our Mudlet is just three, but still managed to navigate plenty of bridges and stepping stones on the main course, with her hand held. 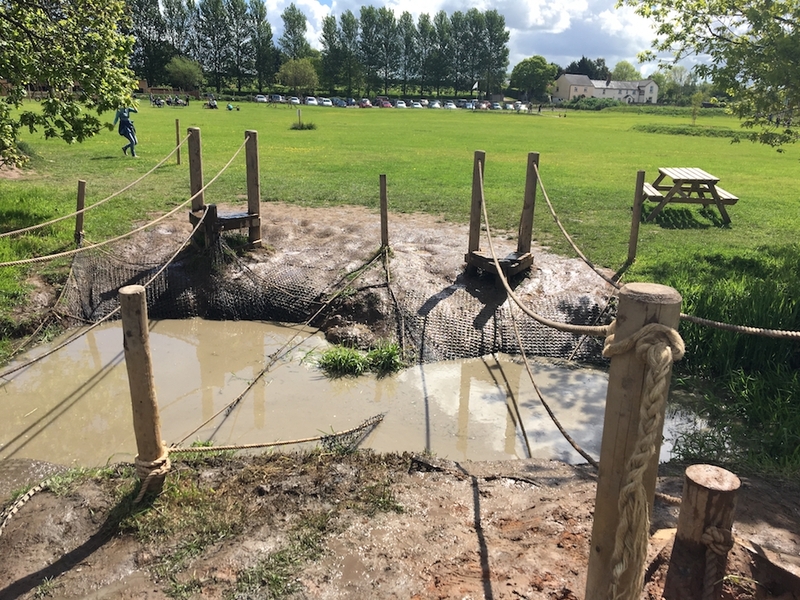 For those of you of a certain age, think the Krypton Factor assault course, full of scramble nets, muddy tyre runs, rickety bridges, even a zip wire. 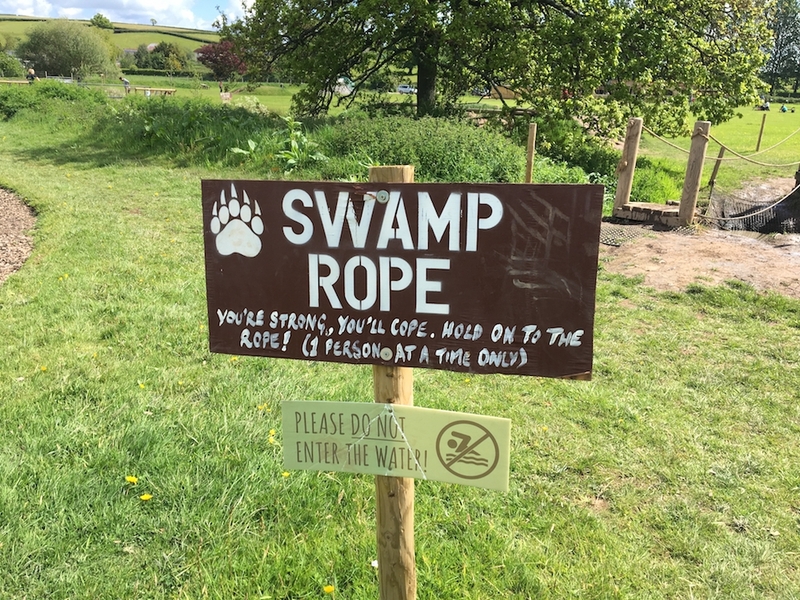 Here though, you’re under threat of falling into bear-infested waters, or the bear pit as you go along. It’s impossible not to laugh your way around, as somebody invariably loses their balance and sploshes into a puddle somewhere along the way. It took us a little while to get into it, but we got there in the end. Once you’re all funned out, you can head back to the start, hose yourself off at the outdoor shower station and get changed into cleaner clothes, if you like. The facilities are rustic, in a good way, and completely adequate, although there are plans to improve on the offering soon. Then, you can refuel at the little shack, selling refreshments, including a decent coffee, hurrah. And the best bit? 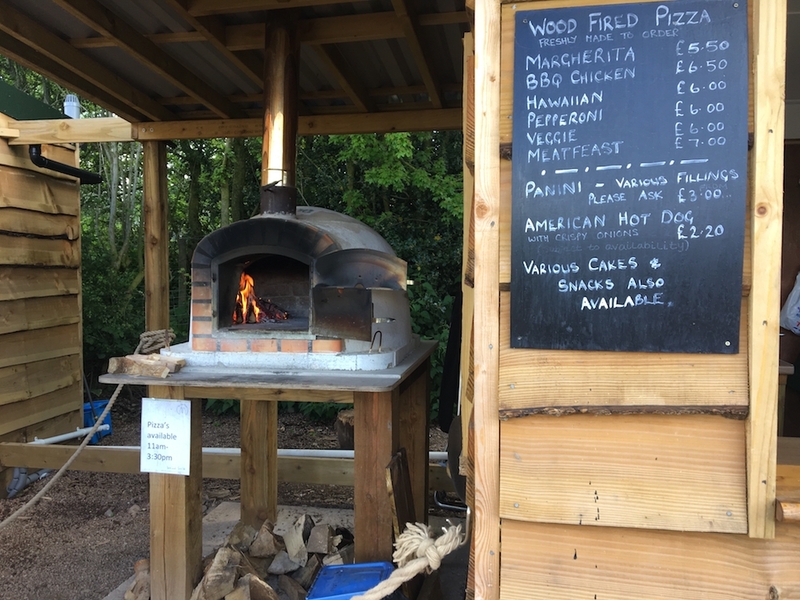 There’s a wood-fired pizza oven, so the food offering is simple and tasty. You can eat inside or out, as you’ll find picnic benches all over the site. 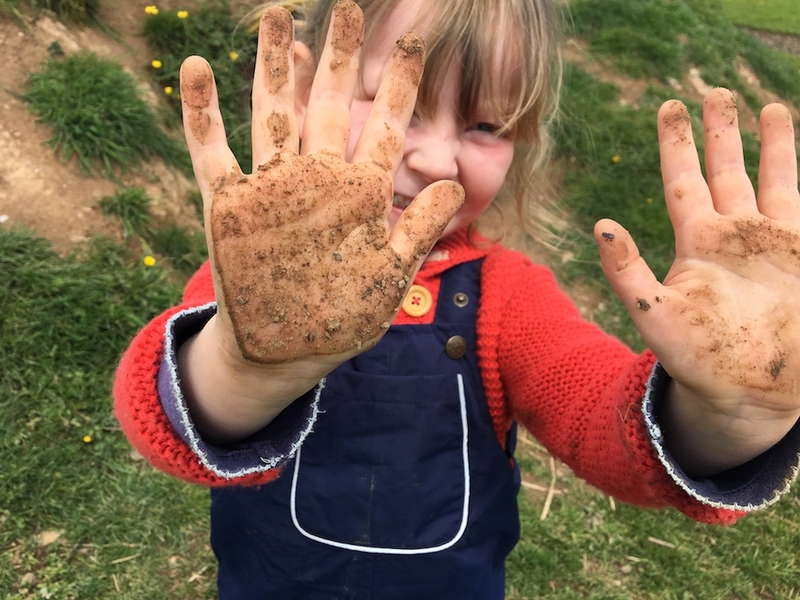 And, when we visited, the barn inside was decked out for a party, making me think this is a very good idea for a birthday…muddy fun not in my back garden equals wins! I love the ethos of rustic, good old-fashioned fun behind the trail. It’s a really simple concept, done well and, apart from when you find yourself half-stuck over the top of a scramble net, with your bum in the air, it’s a right old laugh for everyone. 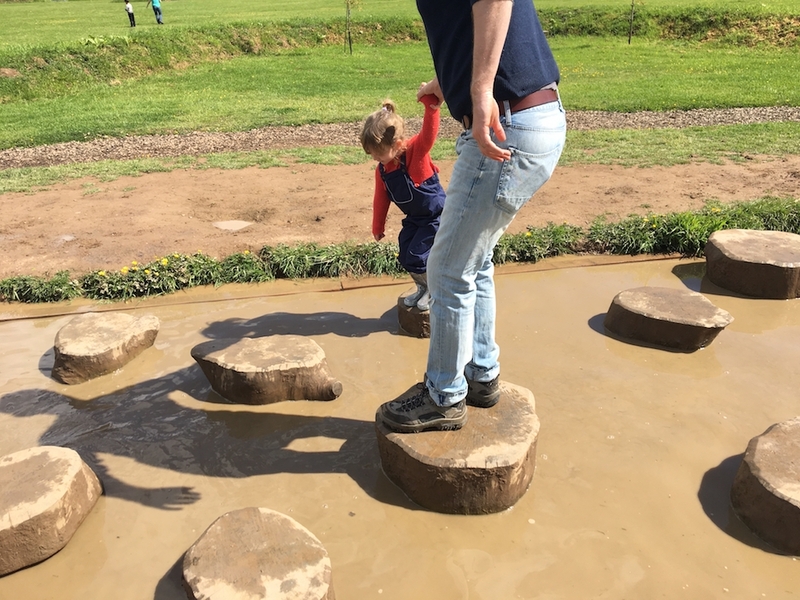 You can get as muddy (or not) as you like, although you might feel the pressure when another yummy mummy runs past you in her active wear caked in the stuff. Not that i’m competitive, at all. Nope. For tickets booked online for Mon-Fri visits during the summer hols, enter BLOG5 voucher code and you’ll receive a 5% discount off the normal price of £4.50 – £7.50 per person (for a full day).